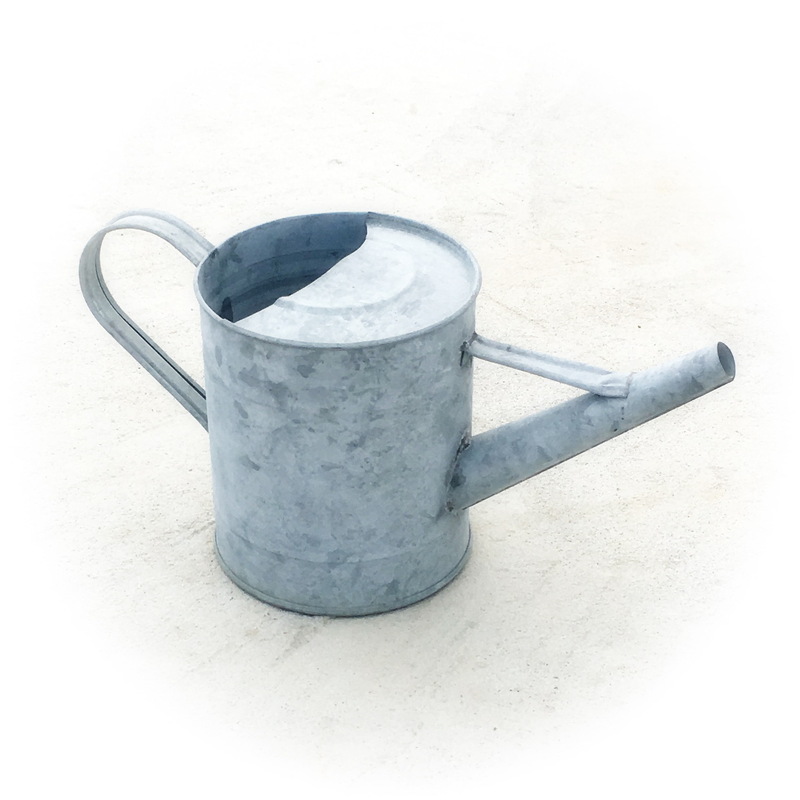 Galvanized metal watering can with rustic charm. Small size makes it an easy indoor addition to window sills and plant shelves. Holds 0.8 liters of water.